Federal exorcist John Starkweather's life is in tatters. His best friend, Sean, betrayed him. SPECTR, the agency he viewed more as a surrogate family than an employer, wants him dead. His only allies are members of the mysterious organization called the Vigilant, whose motives remain in question. Together they must not only evade capture but somehow stop SPECTR from building an army of demon-possessed soldiers. 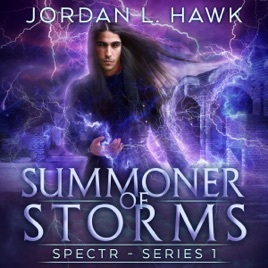 If they are to succeed, John must question everything he's ever believed about SPECTR and spirits. And Caleb and Gray must decide how far they're willing to go--not just for John's love but for his very life.